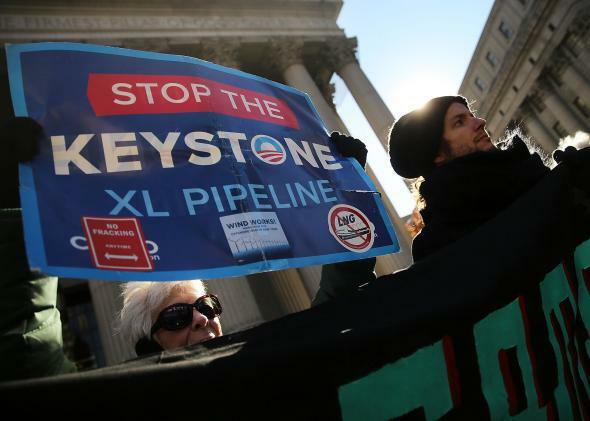 Keystone XL: Pipeline authorization is President Obama's third veto since taking office. On Tuesday, President Obama vetoed a bill authorizing the construction of the Keystone XL pipeline. The move was widely expected and sets the stage for potential override votes in the House and Senate. “It certainly is possible the president will keep an open mind as the State Department considers the wide range of impacts this pipeline could have on the country, both positive and negative,” Earnest said. The estimate of how many jobs the pipeline is predicted to create depends heavily on the source, with some supporters claiming it will put hundreds of thousands of Americans to work in the energy sector and the State Department claiming that once construction is done, only 35 positions will be needed for maintenance and inspection.